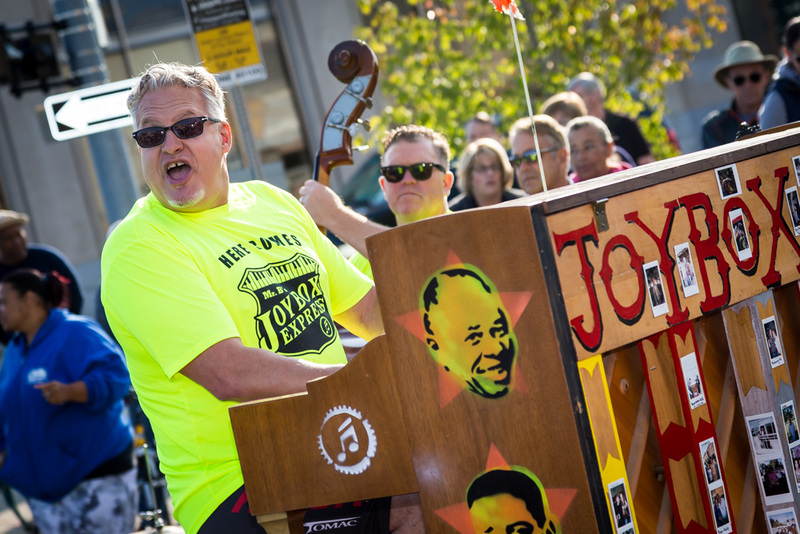 Mr. B and the Joybox Express went on the road to Mackinaw City taking with them a piano on a tricycle built for three! 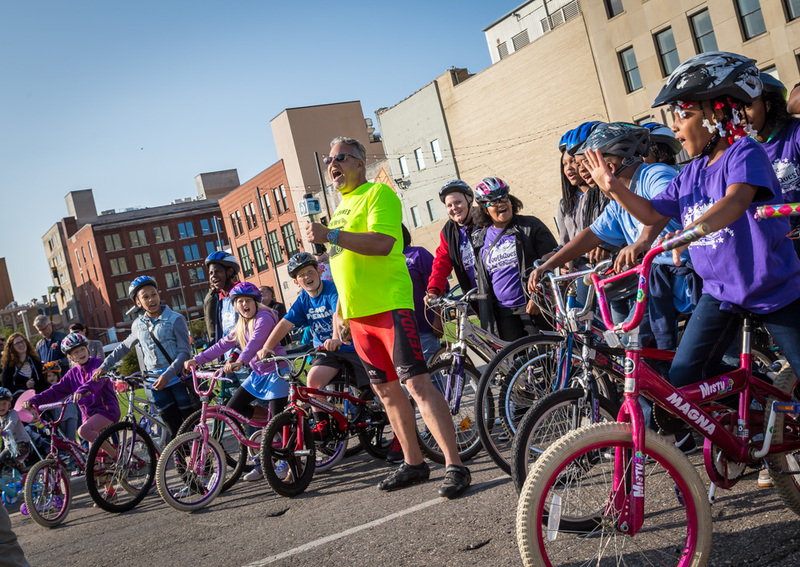 On Friday, Aug. 25, a kick off celebration was held where Mr. B gave a musical performance, and there was a bike parade to send them off. 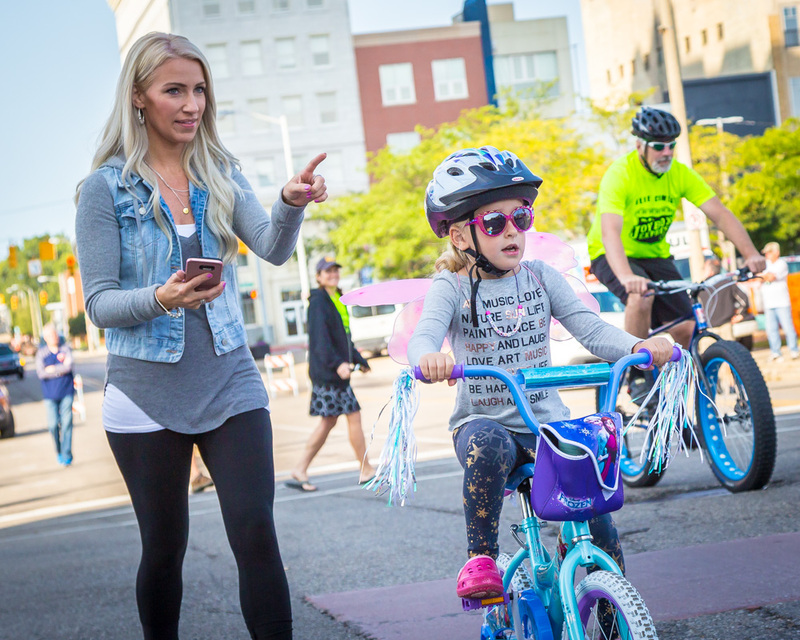 This unusual journey, which is called Sprint4Flint, is a creative way to raise funding for and spread awareness about Youth Quest’s afterschool program. 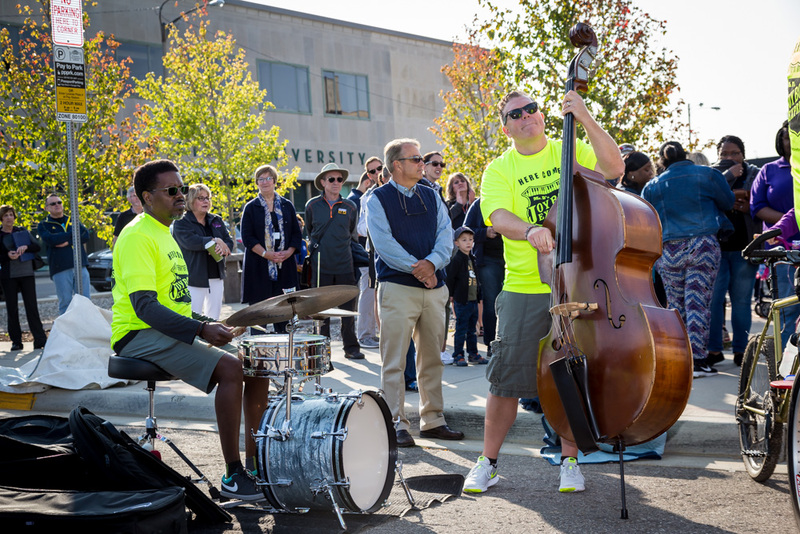 Proceeds of Sprint 4Flint will support art programming provided through YouthQuest during the 2017-18 school year. 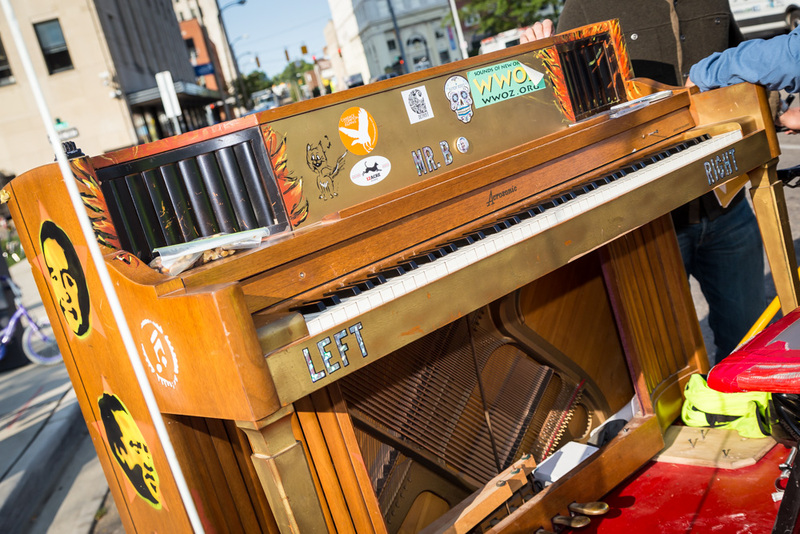 Mark Braun (Mr. B), a Flint native and the founder of Joybox Express, is a 1975 graduate of Southwestern Academy in Flint and an internationally renowned musician. 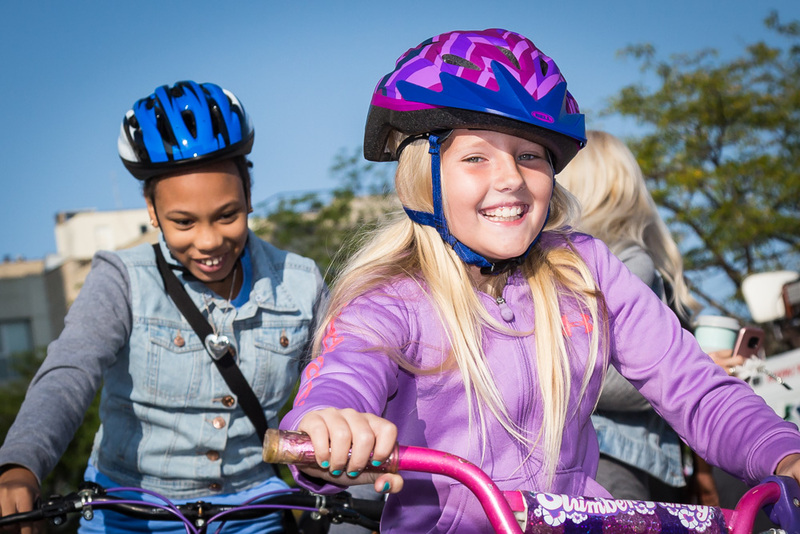 Youth Quest is a high-quality, research-based afterschool program offering educational and enrichment activities that engage young minds. 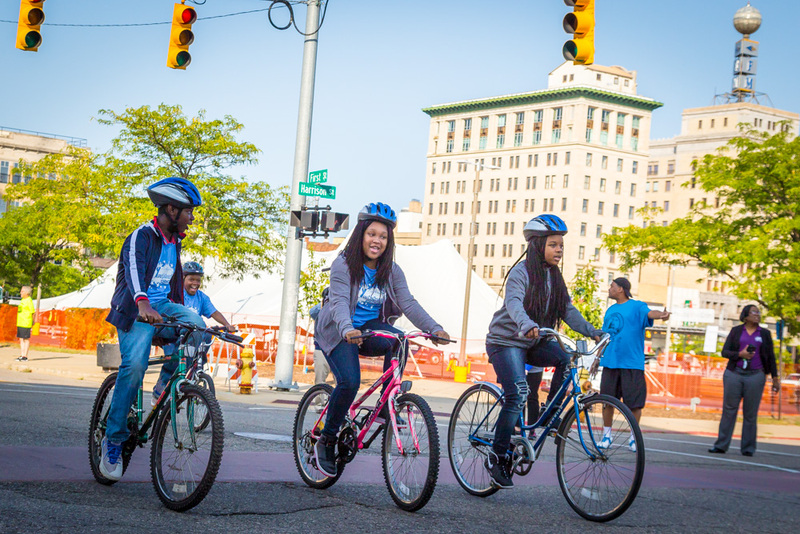 According to its website, Youth Quest is available at 15 sites in the City of Flint and Genesee County and serves nearly 2,000 students in grades K-12 each year. 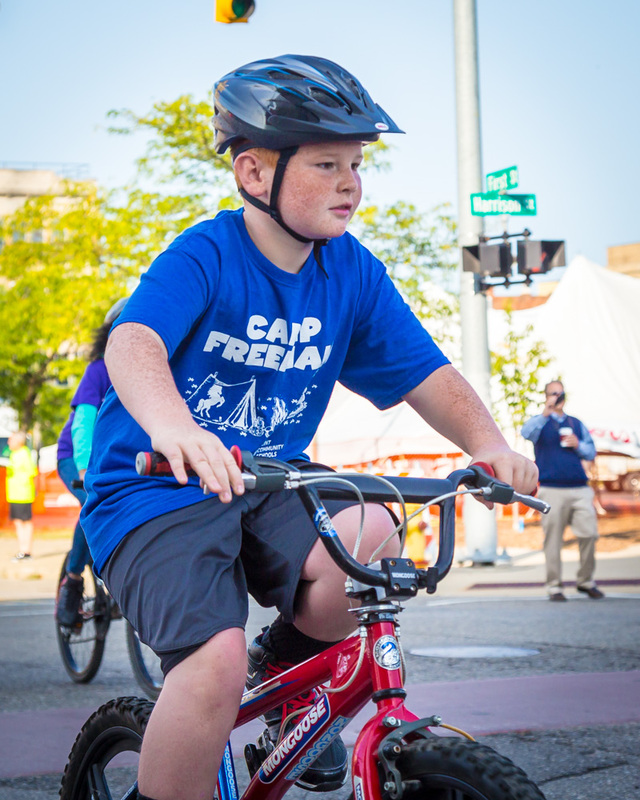 The program is administered by the Genesee Area Focus Fund, a supporting organization of the Flint & Genesee Chamber of Commerce, with support from the Charles Stewart Mott Foundation and 21st Century Community Learning Centers. 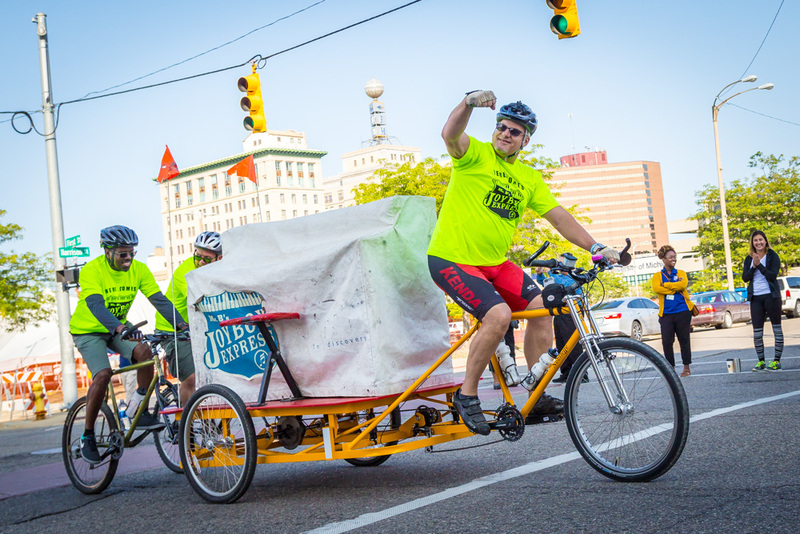 After arriving in Mackinaw City, the crew took the bike to St. Ignace, where it was loaded onto a small barge, which Mark and world-record holding swimmer Jim Dreyer, along with seven other volunteers, towed the instrument to Mackinac Island. According to Mr. B’s blog, just off Mackinac Island nearly seven hours after starting the swim at St. Ignace, divers jumped overboard after hooking up to yellow tow ropes to tow it in. Despite nearly frozen hands Mr. B performed aboard the “Blue Water” coming into the British Landing dock on the island. Rolling the piano bike into the Grand Hotel was the last challenge of the day. Braun has appeared on numerous National Public Radio broadcasts and has won several awards through the Detroit Metro Times and the City of Ann Arbor. He was the youngest living member of the National Boogie Boogie Piano Hall of Fame for some time. 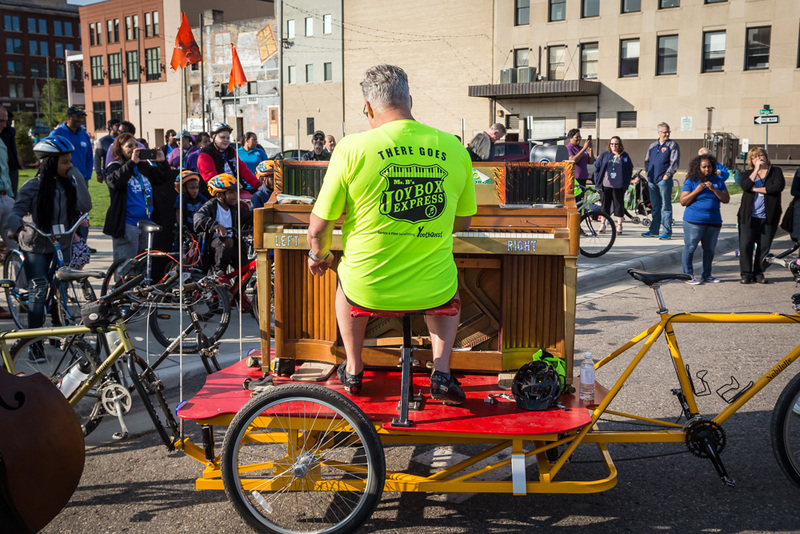 Blues and boogie-woogie pianist Mr. B (Mark Braun) and fellow musicians conduct bicycle tours, with all instruments in tow (including guitar with solar-powered amplifier, string bass, and drum kit-in-a-suitcase), performing benefit concerts and promoting charitable giving for partner organizations along the route. 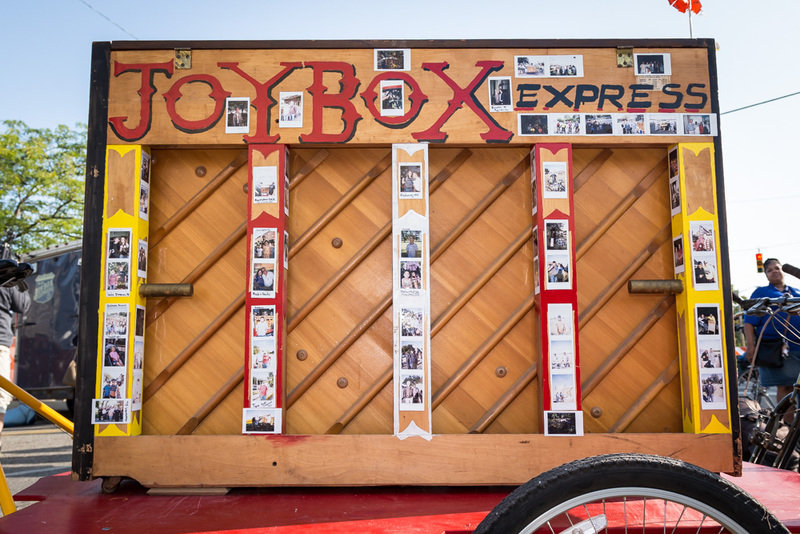 By demonstrating elements of both athleticism and musicianship, Mr. B’s Joybox Express hopes to inspire people to make donations to groups that present arts and athletics opportunities to children. Mr. B’s Joybox Express also hopes to demonstrate to children that arts and athletics are not mutually exclusive, and that both are crucial to their overall development and well-being. It is the hope of the founders of Mr. B’s Joybox Express that the intense labor and whimsical nature of the project will invite the participation of a broad spectrum of individuals and organizations. Mr. B’s Joybox Express aims to leave a lasting impression on those whom the project encounters and to help the communities along the route maintain important programs for their children.